Bravo on your wonderful sale. Beautiful bird and capture. Congratulations on your 3rd Place finish in Singing Wild Birds contest and your feature in Women Photographers. L.
Congratulations on your 3d place win in the Wild Birds singing contest! Congratulations on your new sale and Happy New Year! I love Meadow Larks. Great shot! Jennie, you won a WOWIE! This awesome image has been chosen as one of the William's Wows found in the discussions tab of the group, Wild Birds Of The World. 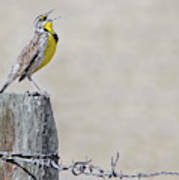 A Western Meadowlark on a fence post in Montana rejoices the arrival of Spring with it's melody song. 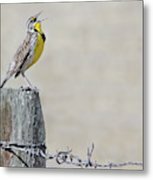 Featured photo in the Montana Outdoor magazine's Annual Photo Issue 2019. The western meadowlark was designated the official state bird of Montana in 1931. 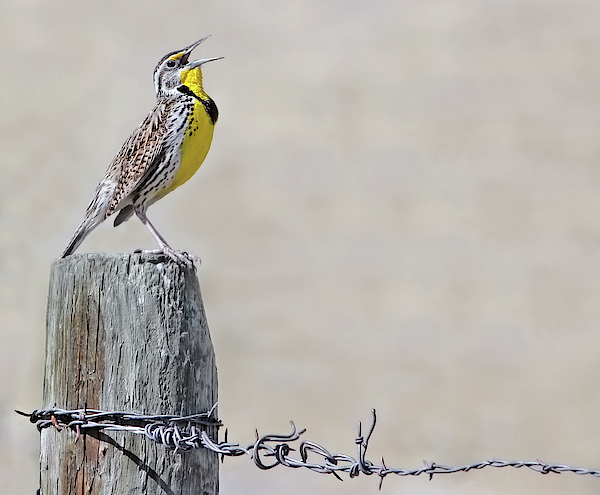 The western meadowlark (Sturnella neglecta) is a familiar songbird of open country across the western states. Copyright by Jennie Marie Schell. All Rights Reserved.